Today on homify 360°, we take a look at how some of our local talent are spreading the interior style overseas – make that ‘amazing’ interior style! 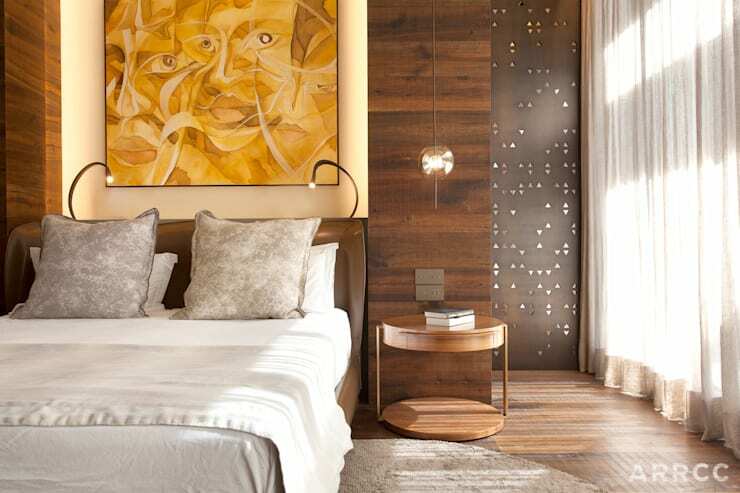 Spruced up most deliciously by ARRCC, an interior-design company in Cape Town, this Barcelona apartment treats us to a blend of African influences combined with ultra contemporary designs, flaunting an exceptional and most inviting look. 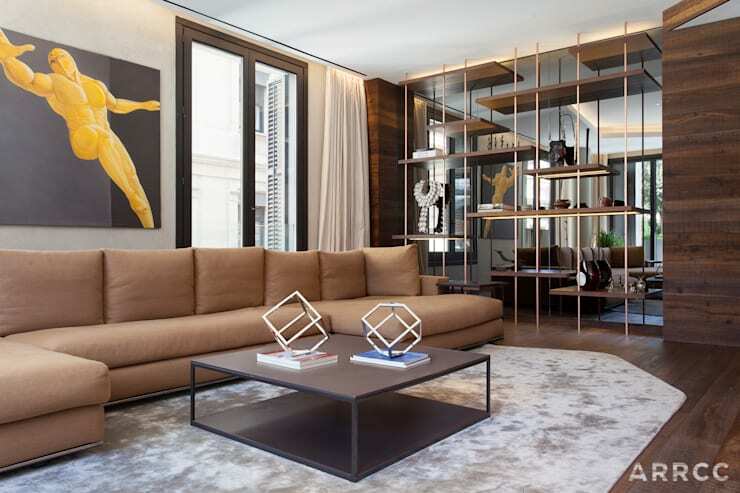 And although this property is situated in a “hot spot” (it is housed along Passeig de Gracia in a new luxury development in the heart of Barcelona and enjoys views of Gaudi Casa Mia), it is mostly its interior design (which spills out onto the vast terrace) that we are interested in. The interiors flaunt an open-plan layout, which include, among other things, a living room and dining area (situated at the back). And judging from the furniture and décor pieces, it is clear that these homeowners are fully committed to excellence. Just look at that amazing sofa that’s clad in what appears to be endless metres of soft silk! And not only have the furniture and decorative items been selected most carefully, even the ceiling got styled up, now flaunting a very exceptional look in warm timber. 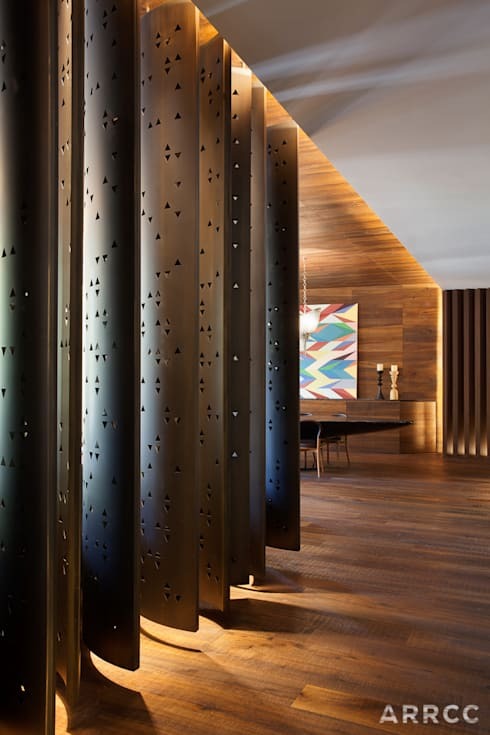 Massive metal louvers are used to divide up the open-plan layout, which also do a fantastic job of controlling the lighting. Notice how strikingly these surfaces (which have been expertly designed, by the way) contrast with the timber ones of the floor and ceiling. Each and every meal served here, even if it’s a piece of toast, will be a most elegant affair thanks to the designs. From table to chair and wall art to lighting, all of the elements have been painstakingly crafted to ensure only the best ambience is flaunted. 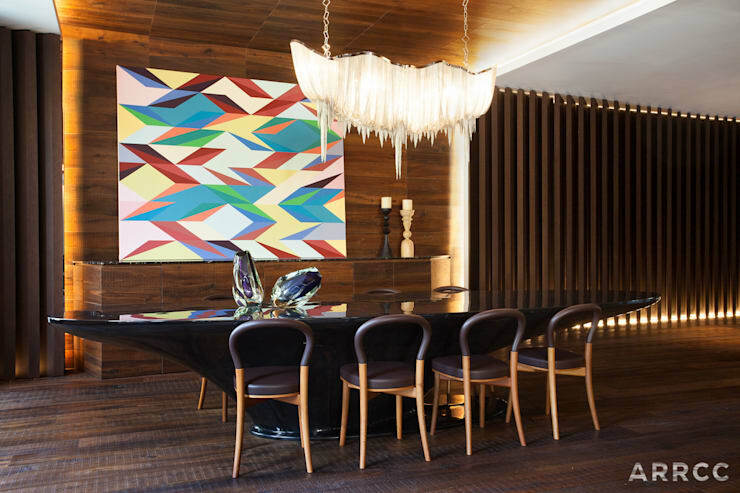 Speaking of wall art, we just love how that decadent piece in the background injects some pattern and colour into an otherwise neutral space. A second, more informal living room is located, flaunting a much lighter (and more earth-toned) look in terms of colour. 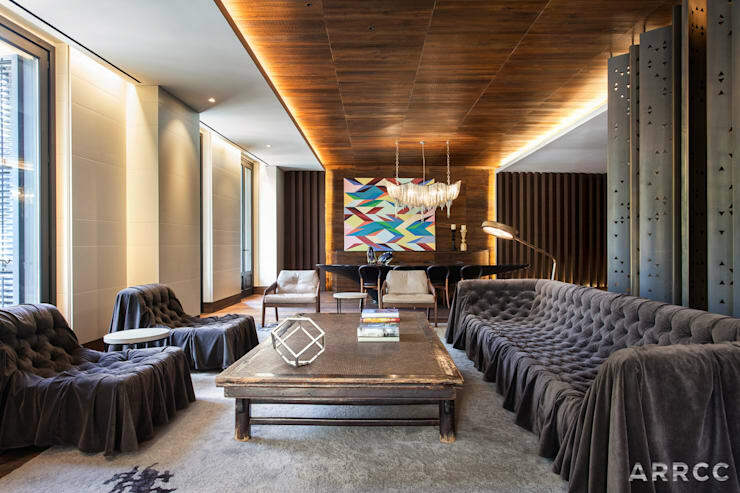 However, don’t overlook the firm commitment to relaxation (the plush sofa) and style (the geometric décor items, as well as the combination of sleek materials and soft fabrics). The ultra elegant style continues into the bedroom, where contemporary pieces ensure a most modern space for snoozing. We especially love the striking wall art above the bed, which adds some cheery hues into the room while also flaunting a slightly African vibe. 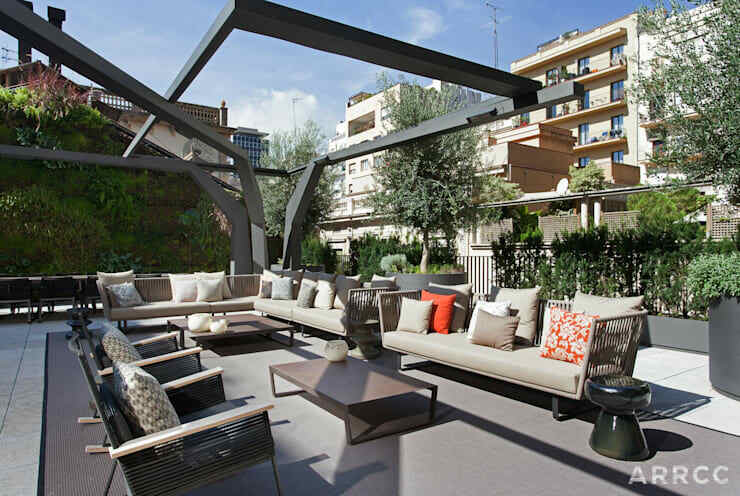 Last but certainly not least, the outdoor terrace which, although it has less design surfaces than the interior spaces, also flaunts a most delicious look. Comfy yet elegant sofas conjure up numerous seating possibilities. And an expertly crafted metal work of art adds some visual detail into this outdoor space. A most stunning creation by one of our local design firms. Well done! Now for something more local, yet equally stunning: The gorgeous South African home with an interior you'll die for.